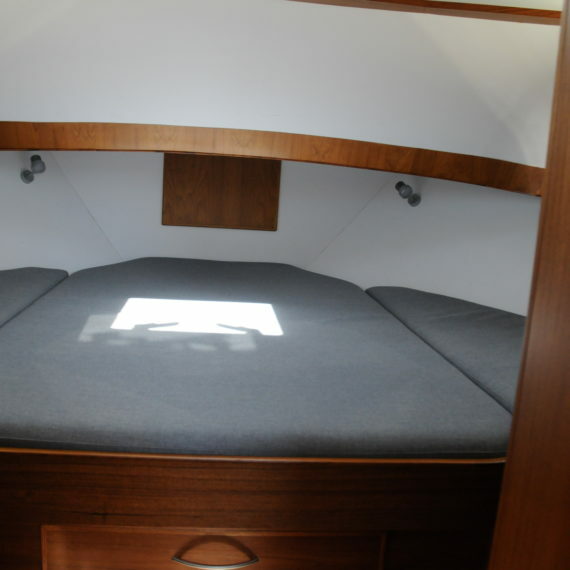 The Delos Cruiser has a new and luxurious design, with an emphasis on sailing in the open. 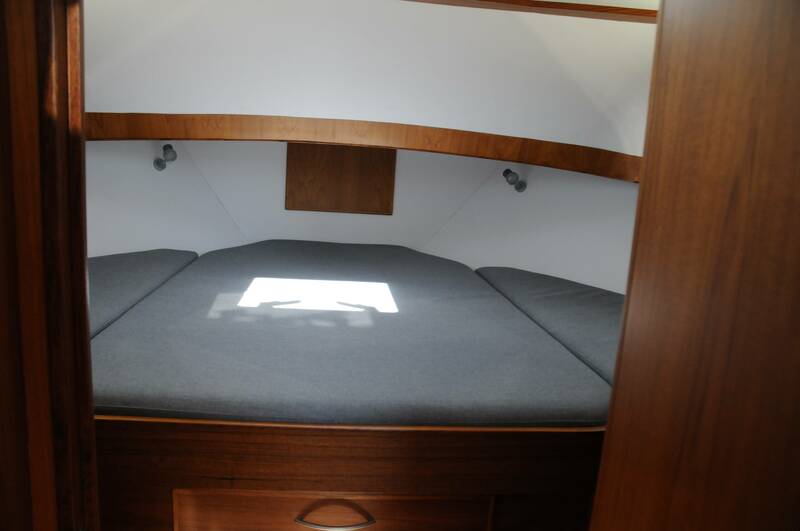 The convertible companion hatch is very easy to be removed or installed. 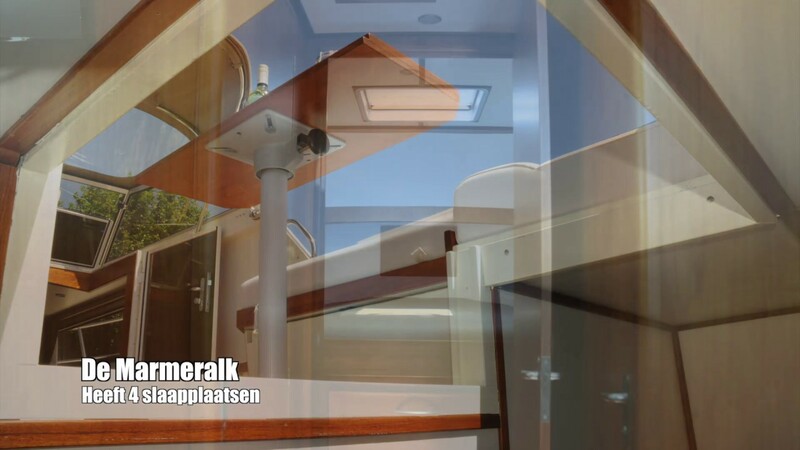 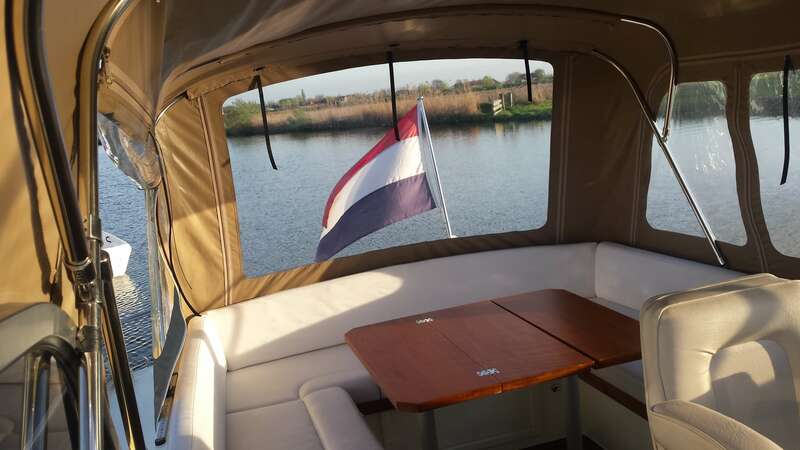 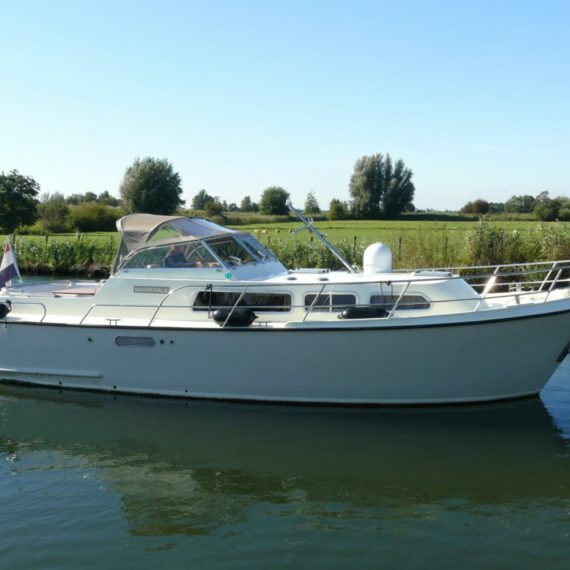 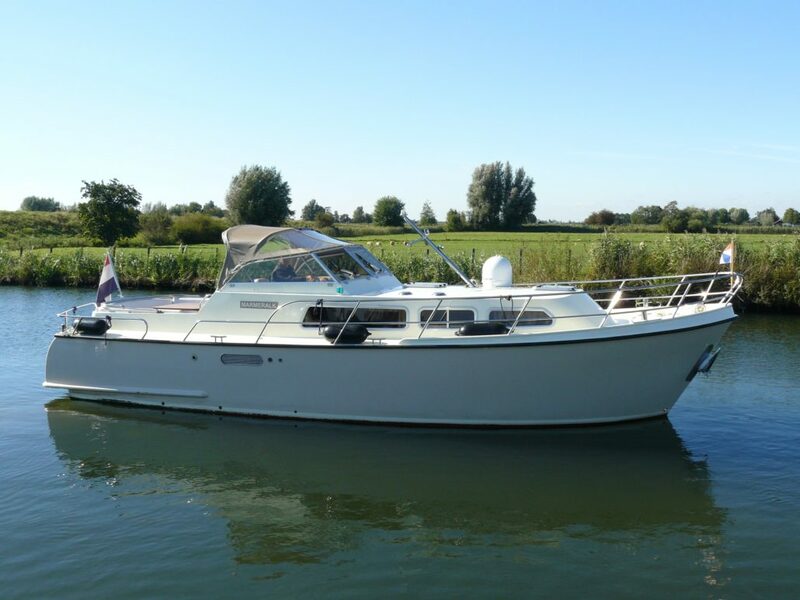 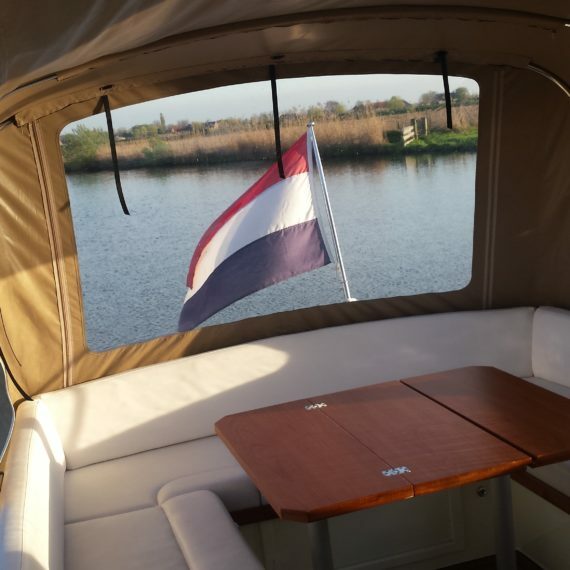 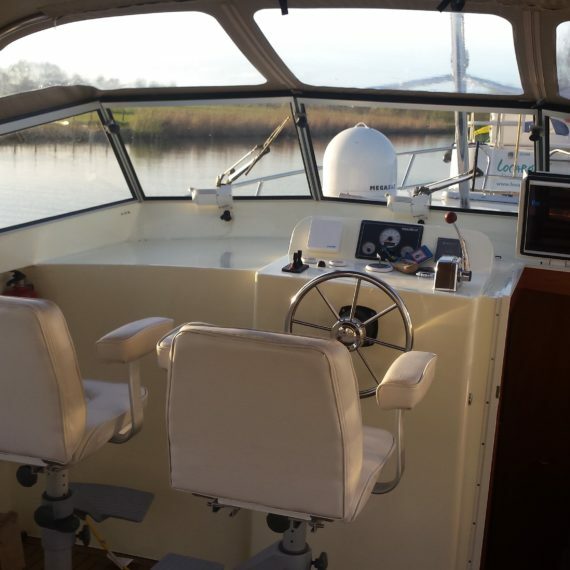 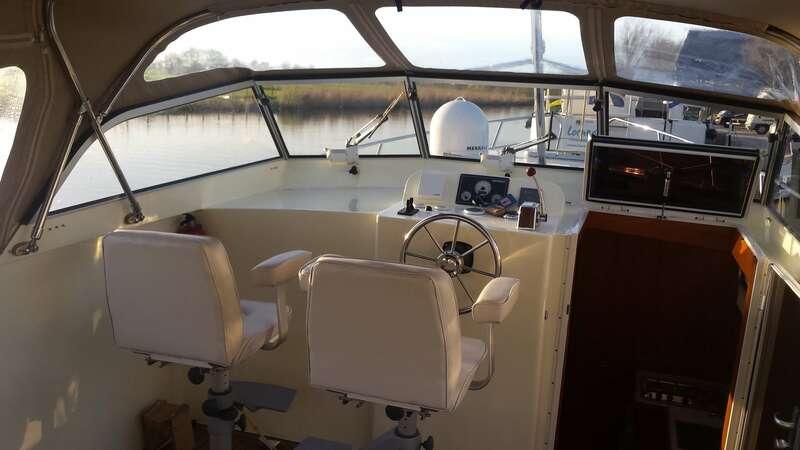 This Cruiser has a superb all-round-seating in the open cockpit, enhancing the feeling of being directly in touch with the water and the surroundings. 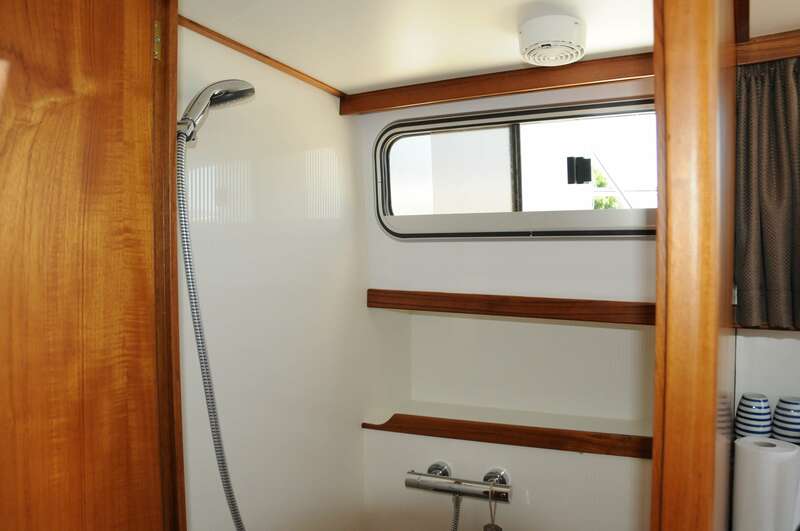 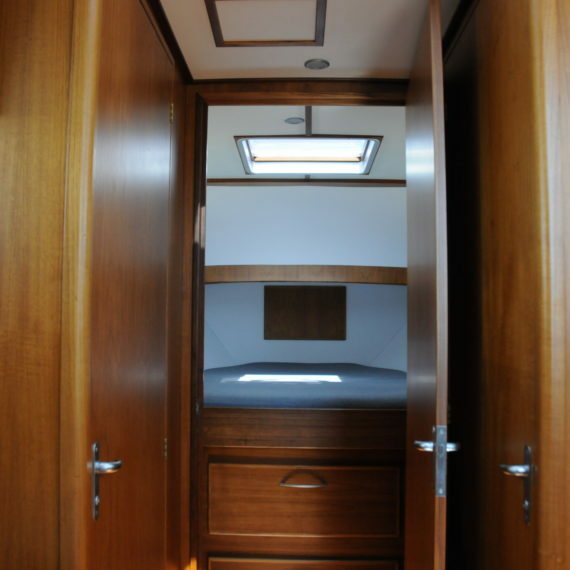 At the front, the ship has a large, separate bedroom, a lavatory and a separate shower cubicle. 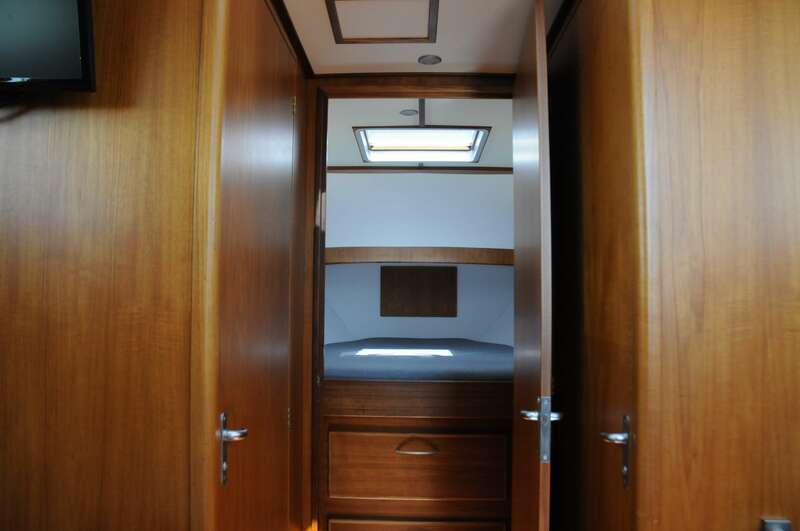 The rear room offers another pair of single beds. 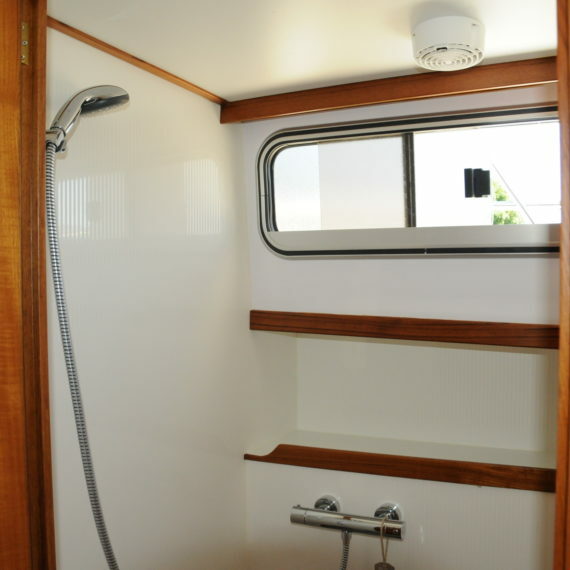 This also means privacy for 2 x 2 persons. 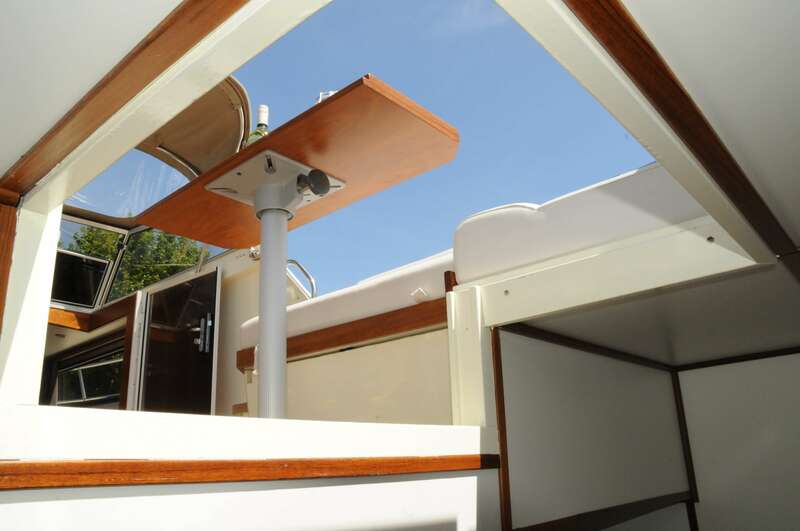 Two screw propellers, at the bow and the stern, make sailing a truly relaxing experience. 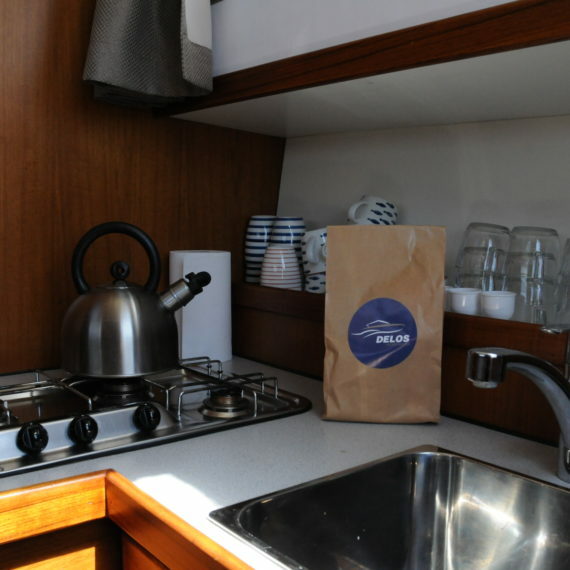 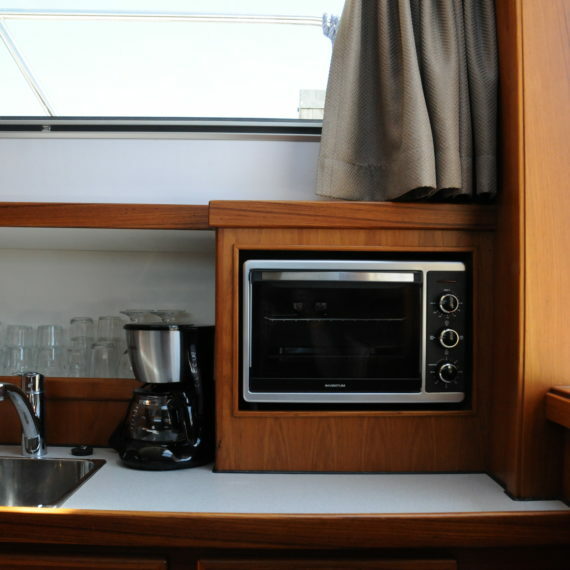 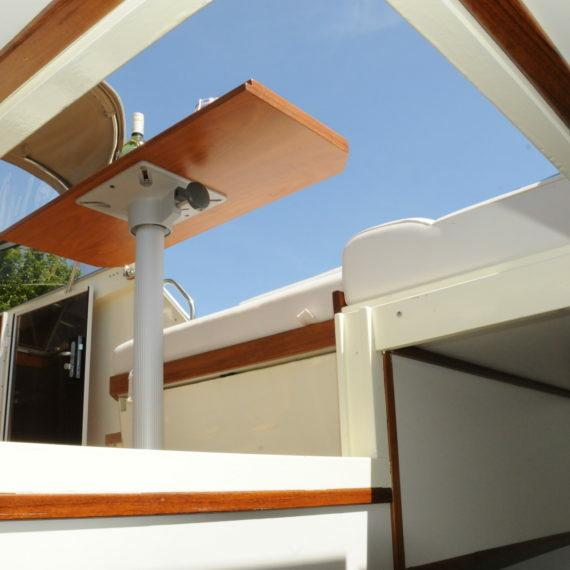 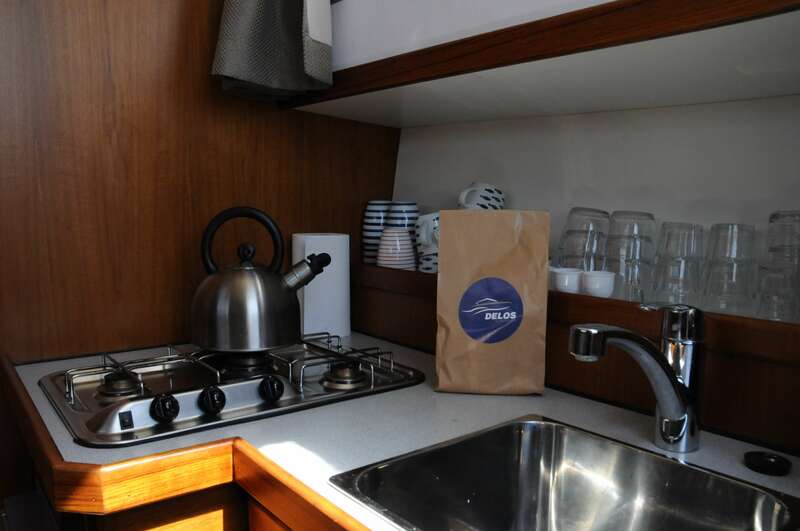 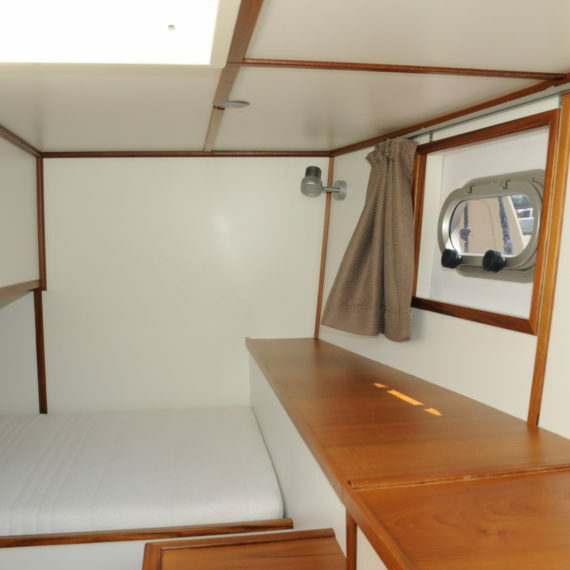 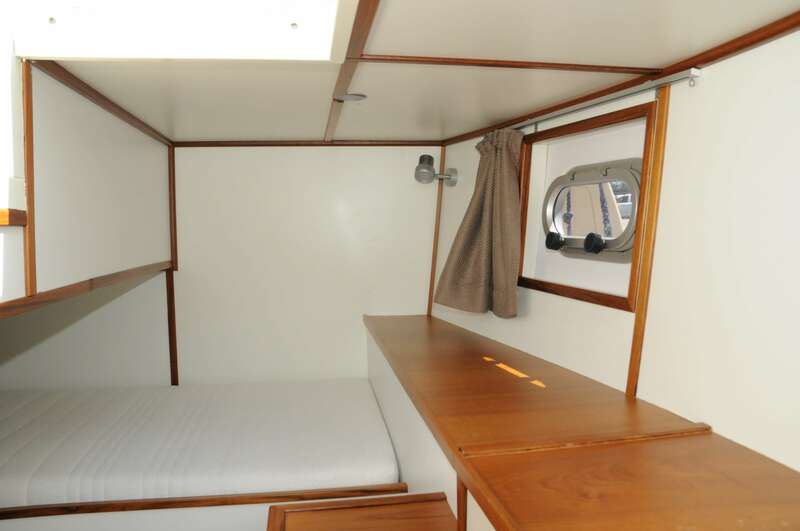 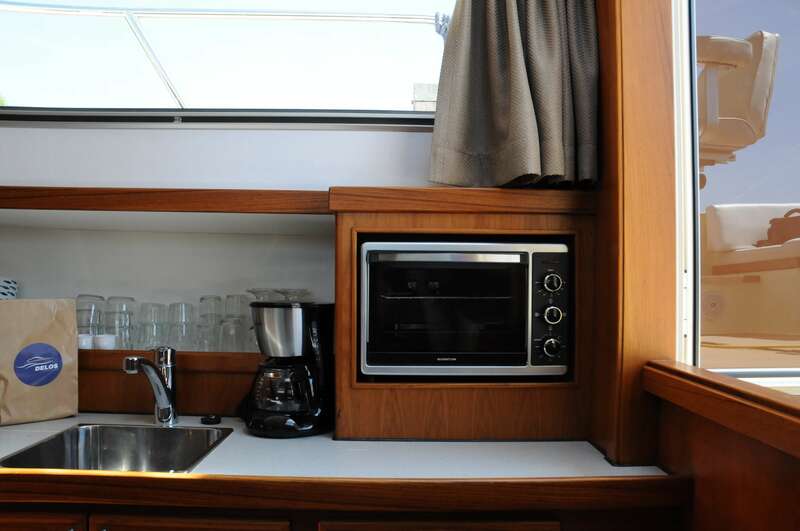 On the water, the ship has a 220 Volt circuit, so you are fitted out with all modern conveniences. 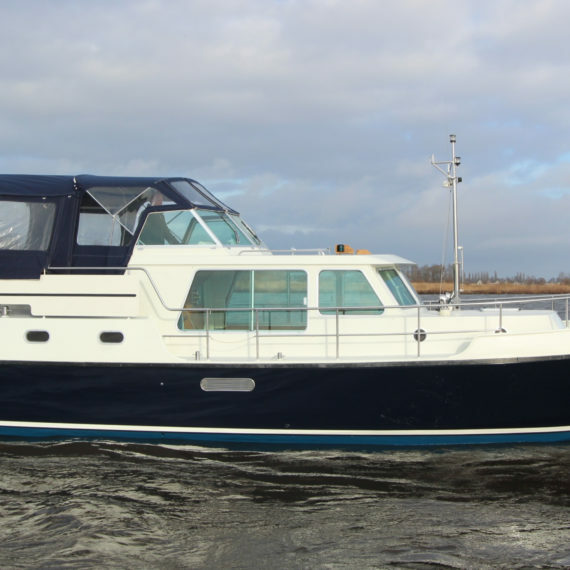 In short: the Delos Cruiser is a luxurious and complete ship, for 2 to 4 individuals.